Some advertisements for vintage XKEs. Beautiful cars - I can only hope that the new F-Type will continue the legacy. 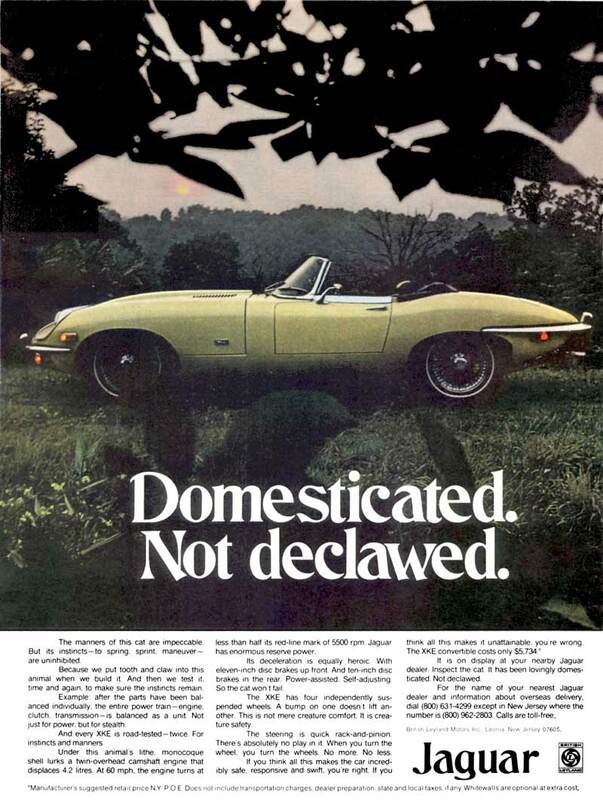 Advertisement of the E-Type - "Domesticated. Not Declawed." 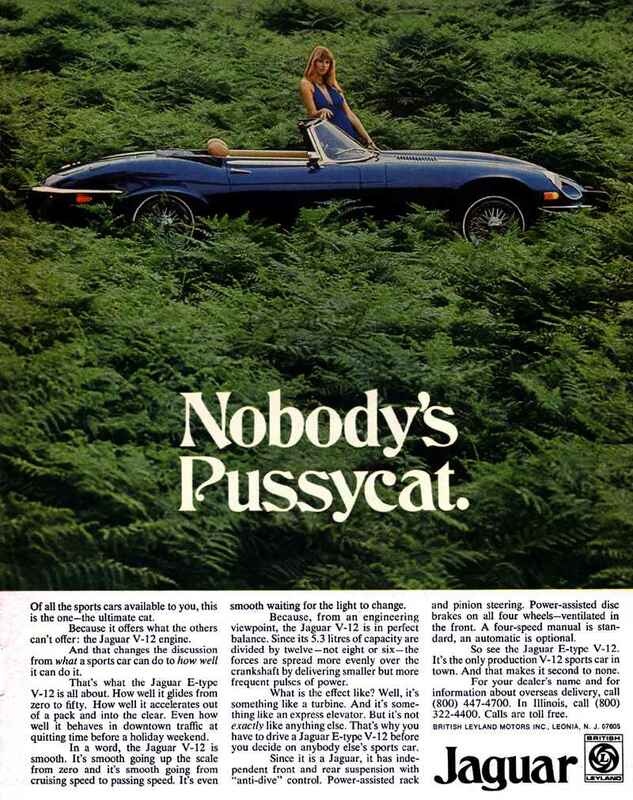 Advertisement of the E-Type - "Nobody's Pussycat."